Are you wondering what the New Year might bring? Try getting a grip on the future with some of the methods Norwegian peasants used, as described by Kathleen Stokker in Keeping Christmas: Yuletide Traditions in Norway and the New Land. Quick—check the chimney smoke! This morning the government of Thailand began forcibly deporting thousands of Hmong asylum seekers to Laos from a refugee camp in the Phetchebun province. Many in the international community, including the United States, have asked for the repatriation to cease as it is feared that the Hmong people would face persecution in Laos due to their support for the U.S. during the Vietnam War. 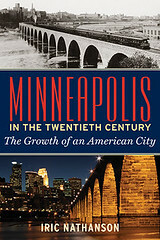 After the Vietnam War, approximately 150,000 Hmong immigrated to the U.S., with many settling in Minnesota. For more info on the current repatriation of the Hmong to Laos, you can check out the New York Times. 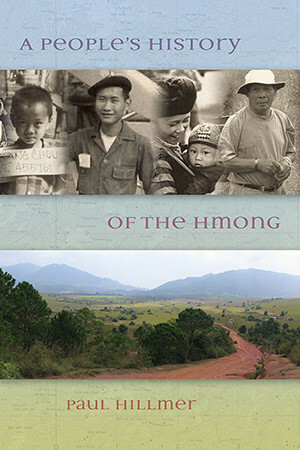 If you would like to learn more about the Hmong people, see Paul Hillmer’s new book A People’s History of the Hmong. 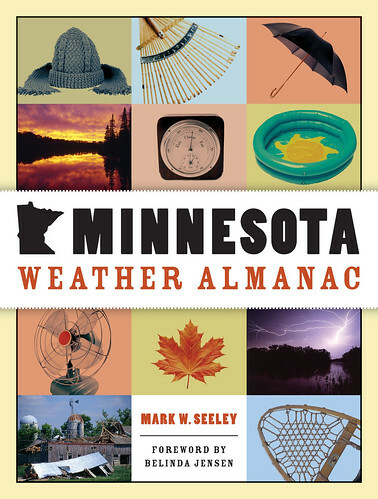 Before all of us at the press go to our respective homes and hunker down for a snowy holiday, we share with you a little Minnesota weather history from our book Minnesota Weather Almanac by University of Minnesota climatologist and MPR commentator Mark Seeley. Happy Holidays all, stay warm, be careful driving, and shovel safely! If you missed the airing last week of the documentary film based on the groundbreaking books A People’s History of the United States and Voices of a People’s History of the United States by author, activist, and celebrated historian Dr. Howard Zinn, it’s not too late to order the DVD in time for Christmas! Inspired by Zinn’s books, The People Speak chronicles the lives and experiences of ordinary Americans who, through their words and actions, changed the course of our history. The philosophy espoused is that change doesn’t come from the top but rather from the bottom and that without those everyday citizens pushing for betterment, there would be no America. This film takes us on a journey from the founding of our country to the civil rights movement, all the way up through today. Order here by 12/23/09 for guaranteed Christmas delivery. CBS recently interviewed executive producer Matt Damon for a story about the film, which premiered last Sunday on the History Channel. View the story video on YouTube. 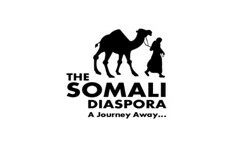 To learn more about The People Speak project, click here. 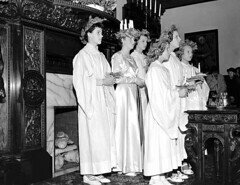 Sunday, December 13, is Saint Lucia’s Day, the day that oldest daughters in Swedish and Swedish American homes don a crown of burning candles and deliver saffron buns known as lussekatter to the family while singing the beautiful Santa Lucia. Phebe Hanson remembers her family’s Minnesota celebration in the 1930s in a lovely poem published in Where One Voice Ends Another Begins, edited by Robert Hedin. The original Lucia, patron saint of the blind whose name means “light,” was martyred in Sicily in AD 304 when she refused to marry a pagan. Medieval accounts hold that her eyes were gouged out with a fork before she was burned at the stake, and she is often depicted holding her eyes on a golden plate. The day is the longest night of the year on the old Julian calendar. Battery-powered electric crowns are now available. Make a meal hearty enough to get you through all of the snow shoveling you will probably be doing for the next 24 hours–Chicken Paprikosh with Dumplings. 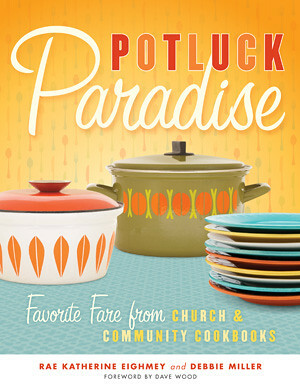 The recipe comes to you courtesy of Rae Eighmey and Debbie Miller and their book Potluck Paradise. 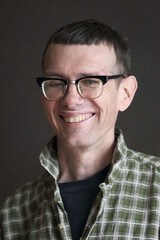 Can’t get enough of Kevin Kling’s holiday tales? You can see him perform his celebrated Tales from the Charred Underbelly of the Yule Log at the Guthrie Theater in Minneapolis tonight. Also, watch Kevin talk with with Cathy Wurzer and Eric Eskola on TPT’s Almanac about his book, Kevin Kling’s Holiday Inn and find out why his family had to eat TV dinners for Thanksgiving one year! 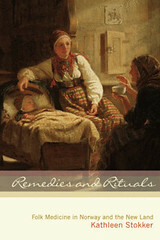 To keep with the theme of “there’s a chill in the air,” we turn to the MHS Press book by Kathleen Stokker, Remedies and Rituals: Folk Medicine in Norway and the New Land, which is filled with fascinating folk-healing rituals and natural home remedies remembered fondly by midwestern Norwegian Americans. Which cure for winter’s common cold and sore throat would you choose? Beret Hagebak outside her sod house in western Minnesota. MHS Collections, photo by Hugh J. Chalmers, from Remedies and Rituals by Kathleen Stokker.